Beet mosaic virus (BtMV), the only Potyvirus known to infect sugar beet, occurs worldwide in beet crops. 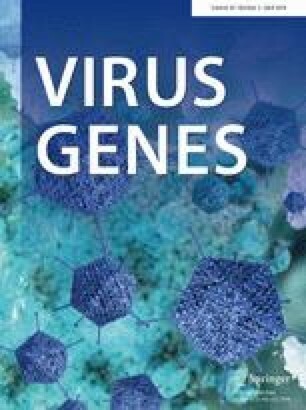 The full genome sequencing of a BtMV isolate from Iran (Ir-VRU), enabled us to better understand the evolutionary history of this virus. Selection analysis suggested that BtMV evolution is mainly under negative selection but its strength varies in different proteins with the multifunctional proteins under strongest selection. Recombination has played a major role in the evolution of the BtMVs; only the Ir-VRU and USA isolates show no evidence of recombination. The ML phylogenies of BtMVs from coat protein and full sequences were completely congruent. The primary divergence of the BtMV phylogeny is into USA and Eurasian lineages, and the latter then divides to form a cluster only found in Iran, and a sister cluster that includes all the European and Chinese isolates. A simple patristic dating method estimated that the primary divergence of the BtMV population was only 360 (range 260–490) years ago, suggesting an emergence during the development of sugar beet as a crop over the past three centuries rather than with the use of leaf beet as a vegetable for at least 2000 years. The online version of this article ( https://doi.org/10.1007/s11262-018-1533-8) contains supplementary material, which is available to authorized users. The authors would like to thank to Tahereh Ramazani for kindly collecting beet samples. AH and SH prepared and provided laboratory support, MM amplified and sequenced the IR-VRU isolate, carried out the analyses, and wrote the draft manuscript, AG designed the dating method, interpreted the results, and edited the manuscript. All authors read and approved the final manuscript.